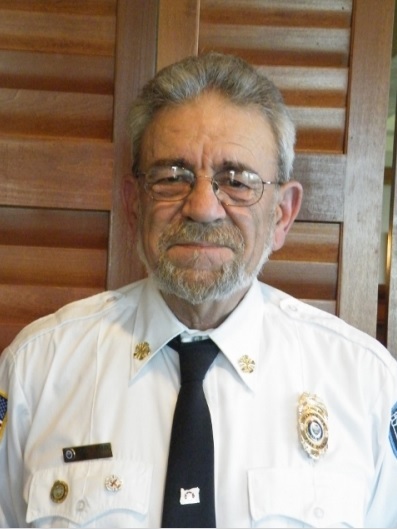 BROOKINGS, Ore. — There will be a public memorial procession, service and reception Saturday for Harbor Rural Fire Chief John Brazil, who died last week. According to Harbor Rural Fire, Brazil passed away on August 15, following a short illness. He would have been 74 years old August 31. Brazil, a Sacramento native, had been with Harbor Rural Fire since June 2002, quickly moving through the ranks to become chief in June 2007. The Harbor/Brookings community will celebrate the life of Brazil this Saturday, August 25th. Information for services is as follows, according to Harbor Rural Fire. Procession: Starts at 10 a.m. at Kite Field in Harbor, will travel up West Benham Lane past the Harbor Fire Hall and proceed North onto Highway 101 to Azalea Park via North Bank Chetco River Rd. Service: Starts at 11 a.m. at Capella by the Sea in Azalea Park in Brookings. The service will be followed by a reception at the Harbor Fire Hall located at 98069 W. Benham Lane, Harbor, OR, 97415. The public is invited to attend. Additionally, memorial donations may be made to “The STUTZ restoration fund”, c/o Harbor Fire Association, P. O. Box 2001, Brookings, OR 97415. NBC5 News anchor and reporter Kristina Zagame is from Boston, Massachusetts. She comes to us from KQTV in St. Joseph, Missouri where she was the evening anchor and executive producer. Kristina received her degree in Broadcast Journalism from the University of South Carolina. She spent a summer interning for an international online magazine in Santiago, Chile. She also covered Hurricane Maria relief efforts in the Virgin Islands. When she’s not in the newsroom, Kristina loves exploring, dancing and live music.